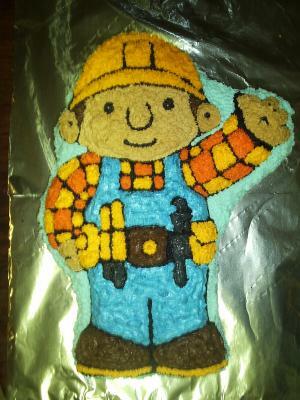 This Bob The Builder birthday cake is awesome. Leanne and Cathy said "We just had a lot of fun doing it!!!" I'm sure this cake will inspire lots of people. Unfortunately, they did not leave instructions on how they made this fantastic looking cake. Hopefully the picture will be helpful in itself. It was just too good not to put up here! "Bob the Builder Construction 18"" Pull-String Pinata"
I love this cake. Great job!